A poncho is an overlooked gift to our world. They’re cozy and warm, and can protect you from the rain. Not to mention how stylish a crochet poncho can be. 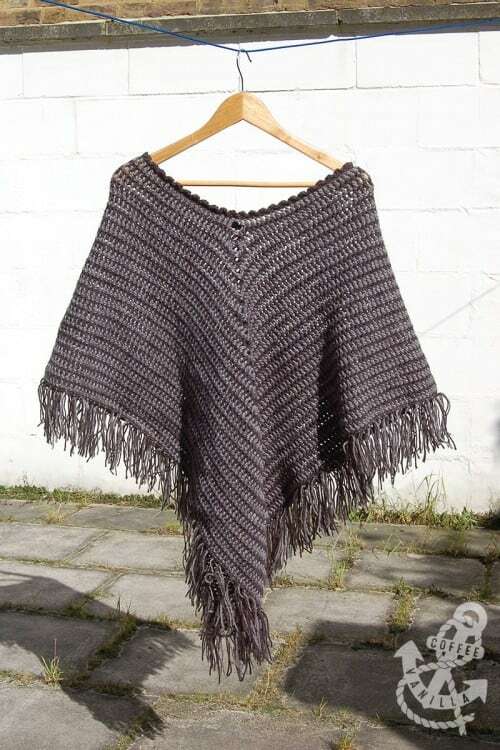 Some ponchos have a hood pattern or a crochet cowl. 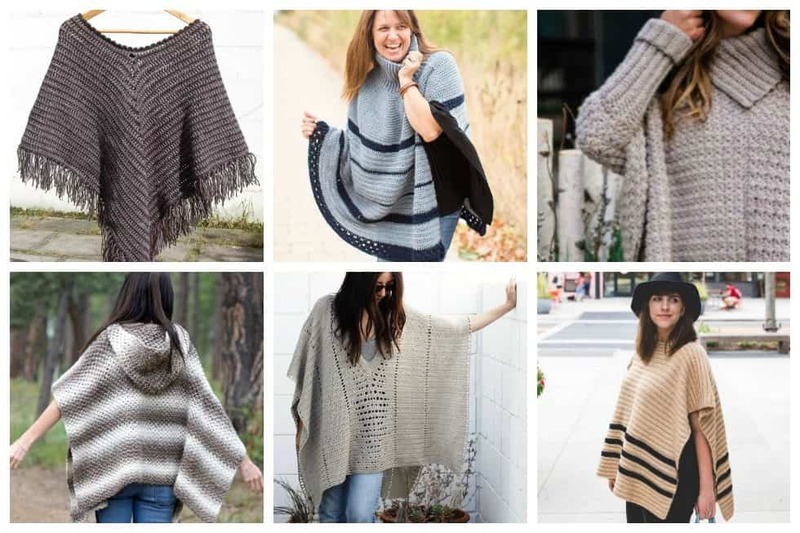 They’re very versatile and each crochet poncho pattern is unique. 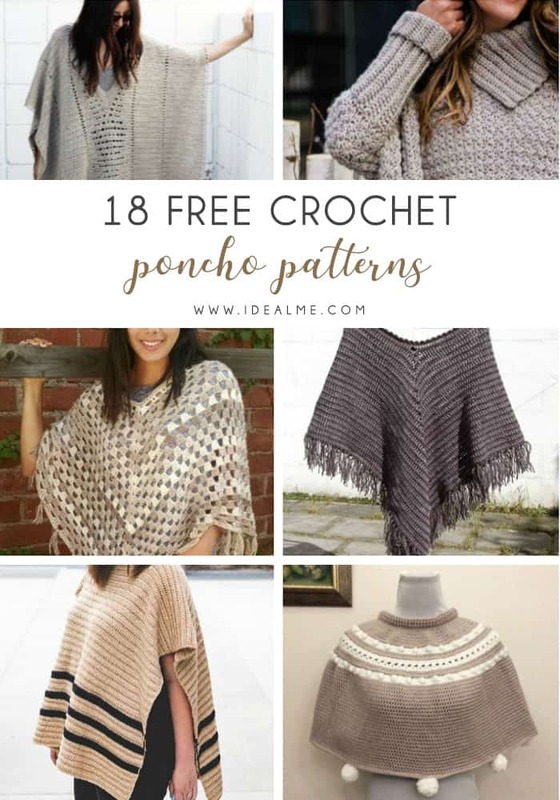 If you want to learn how to make a poncho, this list of 18 free crochet poncho patterns will help you. Ponchos are perfect for all sorts of weather and all sorts of occasions. Pick your favorite from this bunch and start creating. 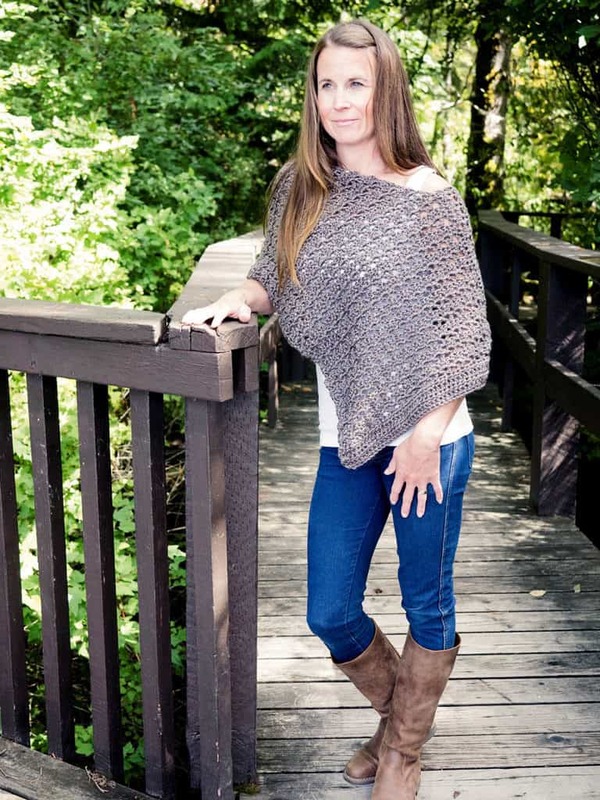 This poncho pattern is lightweight, trendy, and versatile. Plus, it comes together really easily which makes it great for crochet for beginners. It also pairs perfectly with those cute fall boots I know you’ve been waiting to use, and is great for a casual wedding. 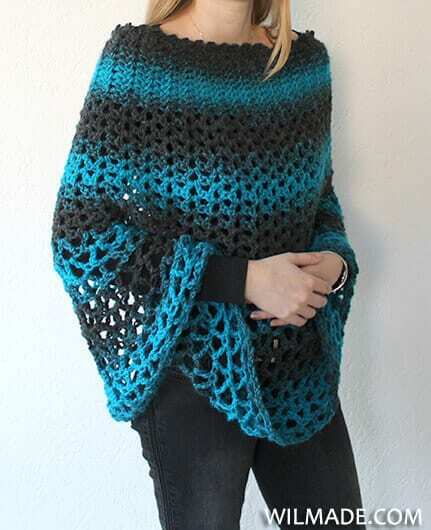 If you can crochet a basic rectangle, you can make this easy crochet poncho with sleeves! With no increasing or decreasing, you can create a cozy, sweater-style poncho that flatters all types of bodies. Cozy comfort meets eye-catching style with this oversized hooded poncho. Not only will your poncho be noticed, but you’re also sure to be warm and comfortable with the relaxed fit and easy wear. 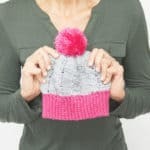 The simple stitch pattern creates a “knit-like” look and the construction is straightforward making it a fun project for crocheting by the fireside. This hooded cape pattern is super unique and a lot of fun to crochet. It can be customized with modifications for several sizes from child-sized to a full adult capelet or long poncho. 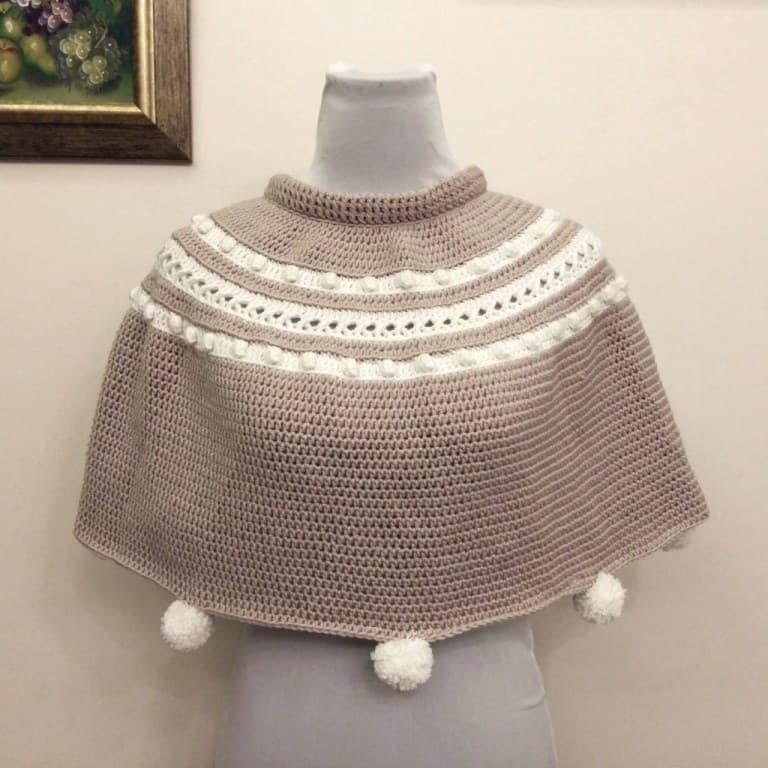 This makes it very versatile so that you can create a unique, handmade poncho with crochet hood that fits your style. 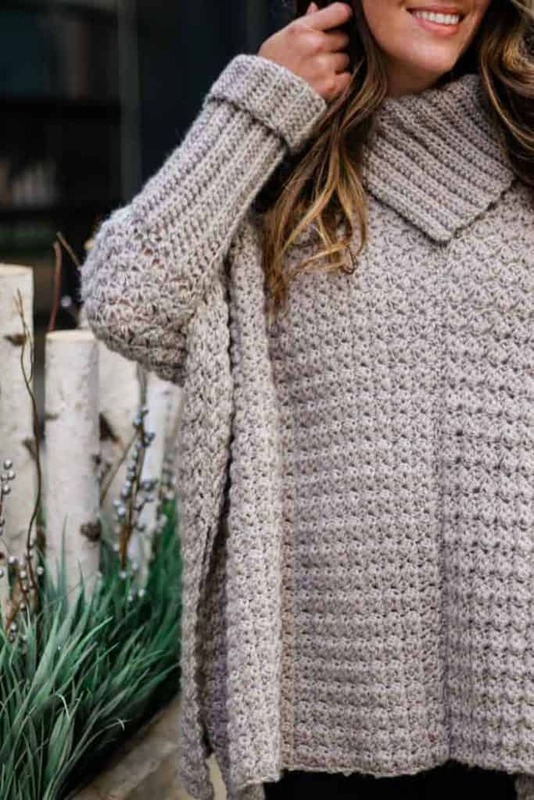 The Perfect Gift Poncho is a simple, beginner-friendly poncho crochet pattern that works up fast. Perfect to make for yourself, or as a gift for family and friends. All the stitches you need to know are how to make chains, single crochet, double crochet and treble crochet. Don’t you love when elegance and practicality meet in the same place?! 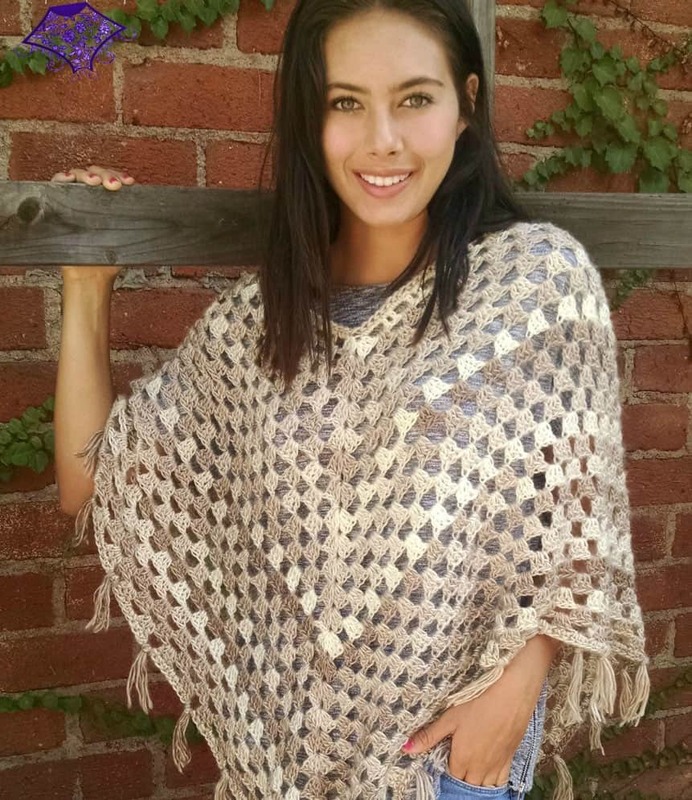 The “Bella Crochet Poncho” has it all, flexibility simplicity and elegance. 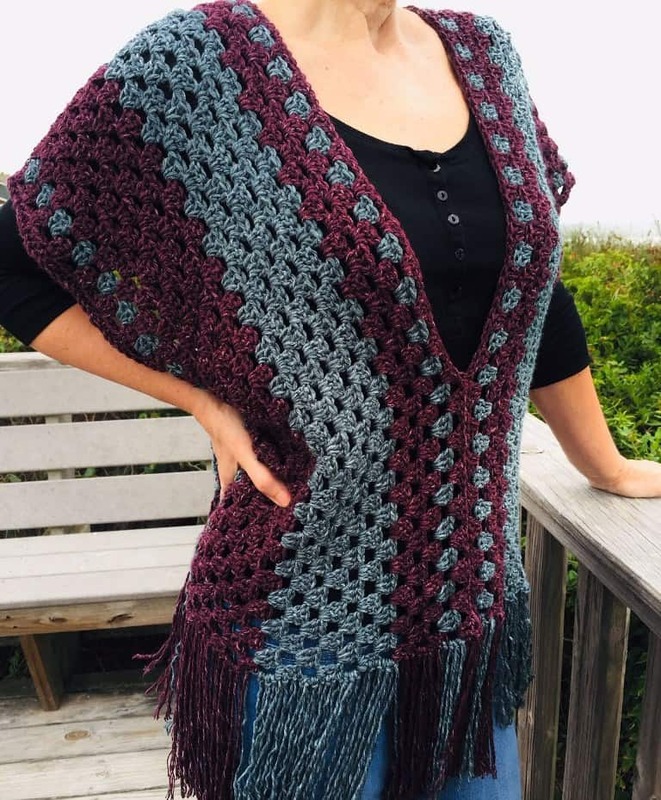 This crochet poncho pattern is perfect for learning how to crochet a poncho. The capelet pattern is very straight forward but has some twists along the way. 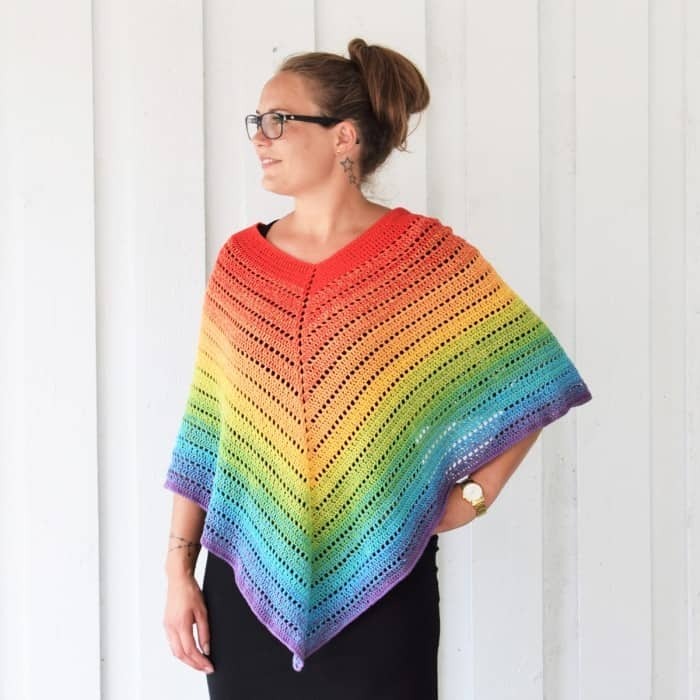 This womens poncho is made out of a squishy fiber that’s fun to work with. 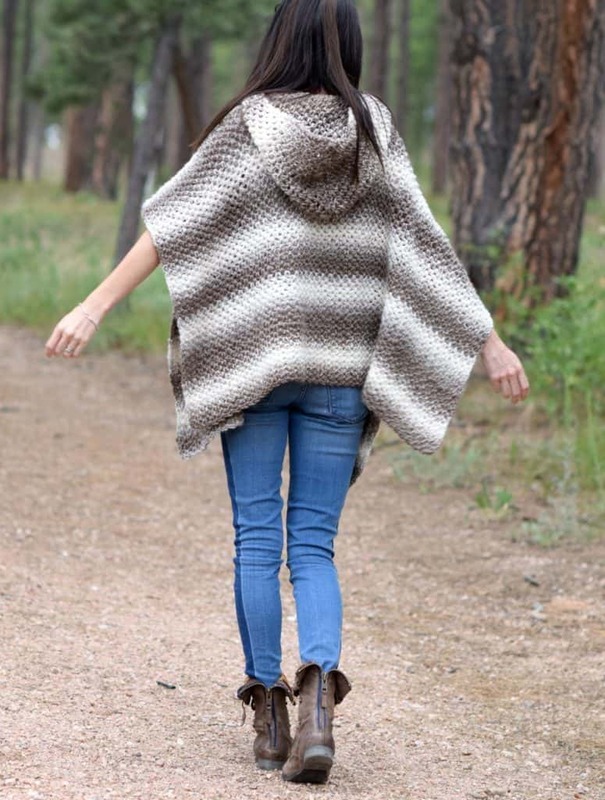 The Montana Poncho features a slit side to make it functional and keep your arms accessible. Perfect for a cup of coffee on the porch on a brisk morning carrying my bag to market. Once you’ve crocheted one of these, you’ll have to make more. If you have been learning how to crochet a poncho, put your skills to the test with this poncho pattern. 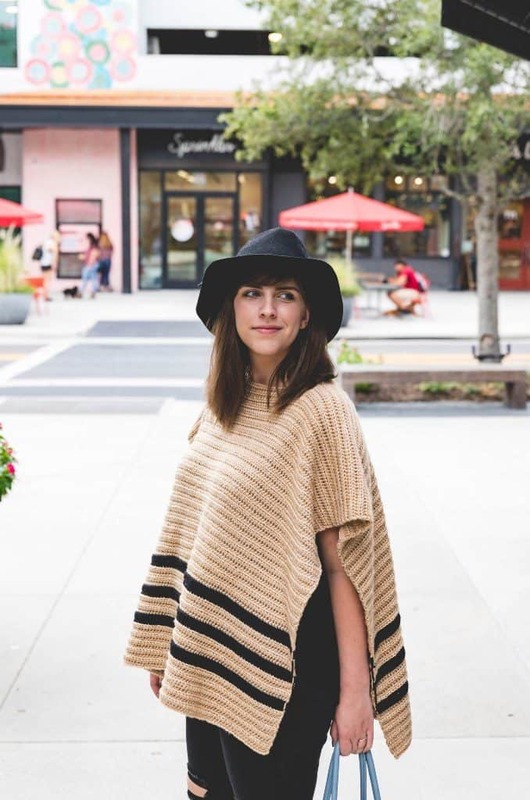 A perfect, fashionable and quick poncho project to work on. Extensions to the front and the back were added to turn it into a Kaftan style poncho. This lightweight poncho has a streamlined silhouette and a lovely subtle texture. And, you can crochet it quickly and easily from just two Caron Cakes using only basic crochet stitches! In need of new crochet ideas? 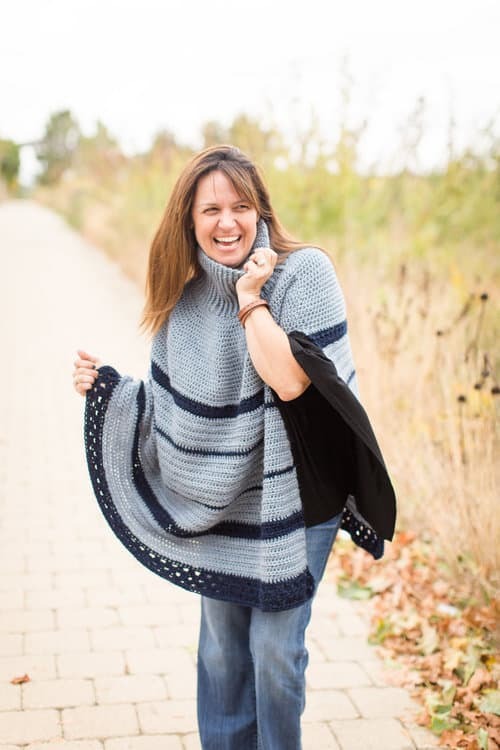 This poncho top is made out of Lion Brand Jeans yarn. Granny stitch was used so it’s really beginner-friendly. It’s so soft and has a beautiful drape. The side seams were sewed together to give it a little more warmth for cooler weather. You can leave the sides open if you like. Either way, it’s a beautiful capelet pattern that’s incredibly comfortable and versatile. 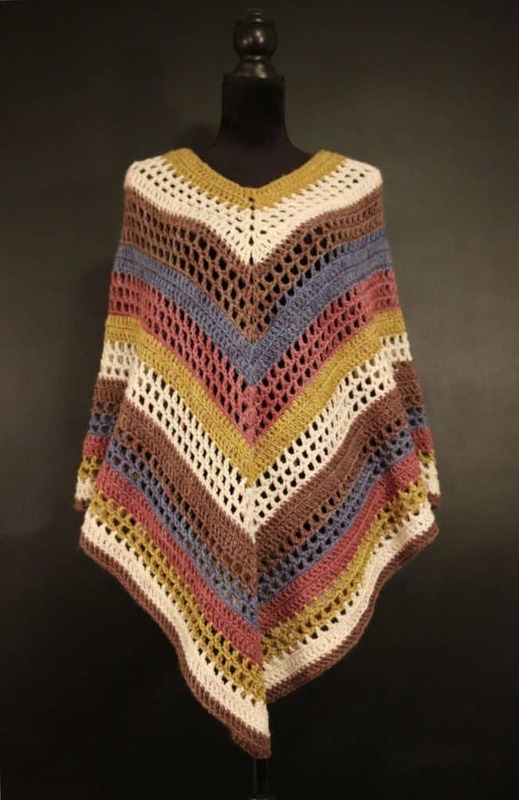 The Classical Attitude poncho design is beautiful and simple, made from Cotton Kings Color Bomb which is a luscious and soft cake-yarn available in fabulous colour combinations. If you’re learning how to crochet, free patterns like this are the bee’s knees. 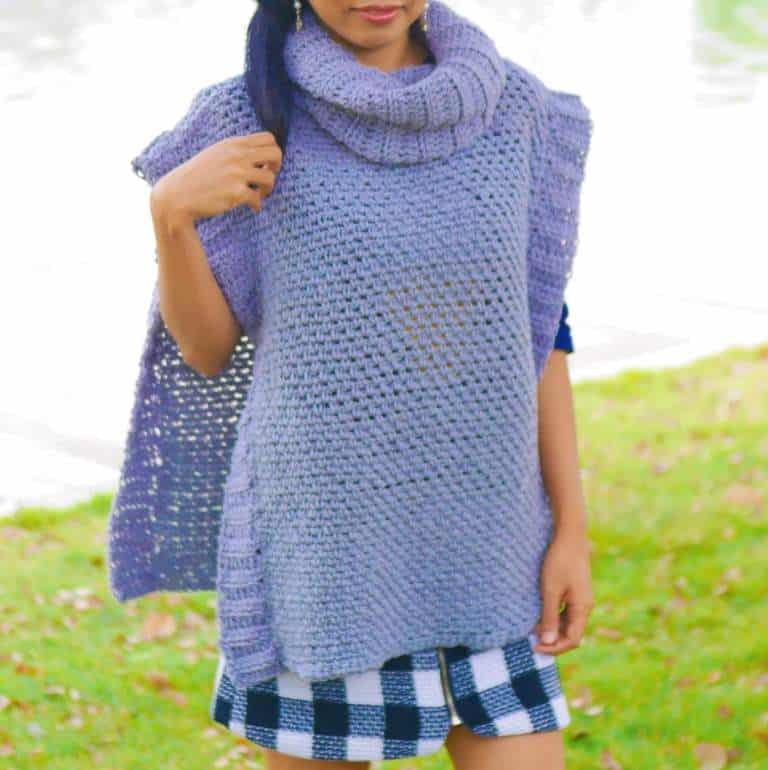 This is a very simple crochet poncho pattern that you can make for yourself! Worked mostly in trebles, it can be your go-to project while watching your favorite movie! Treble stitches here can be replaced with even taller double treble crochet stitches. Crochet patterns with taller stitches come together really quickly. Looking for crochet for beginners? 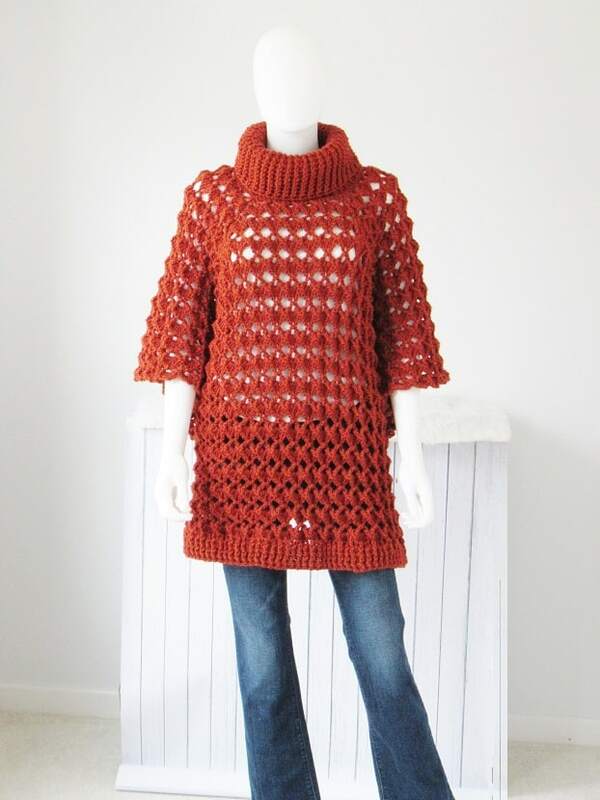 This crochet poncho is so easy to mixed and match in the winter season. They are one of the easiest to make ever like its name ” The beginner poncho”. How did they are so perfect for a beginner crocheter to start out your first crochet garment. 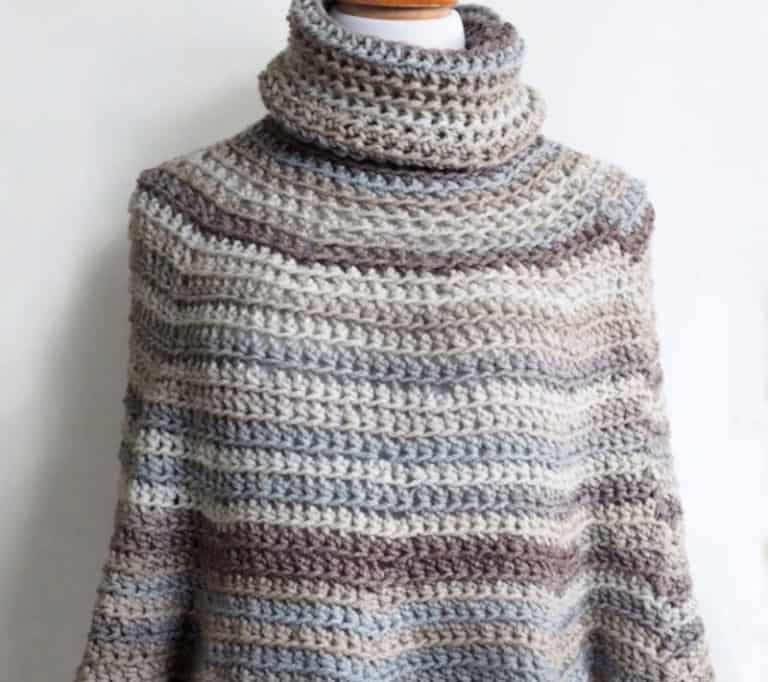 You’ll love learning how to make a poncho with this cozy crochet cowl poncho pattern. for sporting events and to show which team you support wherever you go. Crocheted in self-striping Team Spirit yarn you can choose from all the most popular team colors. This is one of those I’m-never-taking-it-off crochet projects. It can be worn every day but still make a statement, It’s a piece that you can always take on trips. 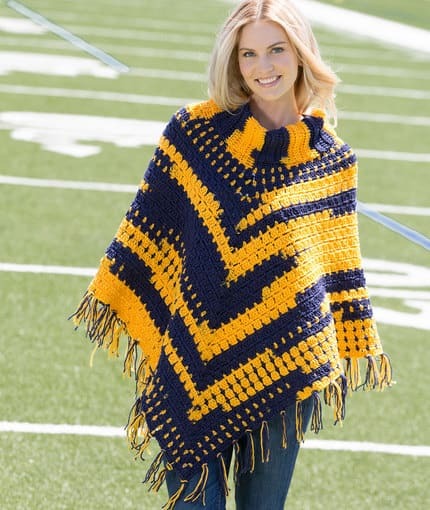 And something that doubles as a blanket, like a poncho, is so perfect for road trips and long flights. Learn to crochet this pattern now. The Rancher Poncho is basically one gigantic rectangle with a hole in the middle for your head to pop through. We use ridged stitches that are deceivingly simple – just work regular half double crochets in the back loop only. It’s the perfect project to make while you binge watch your favorite Netflix special! You won’t be able to wait when it comes to crocheting this piece! 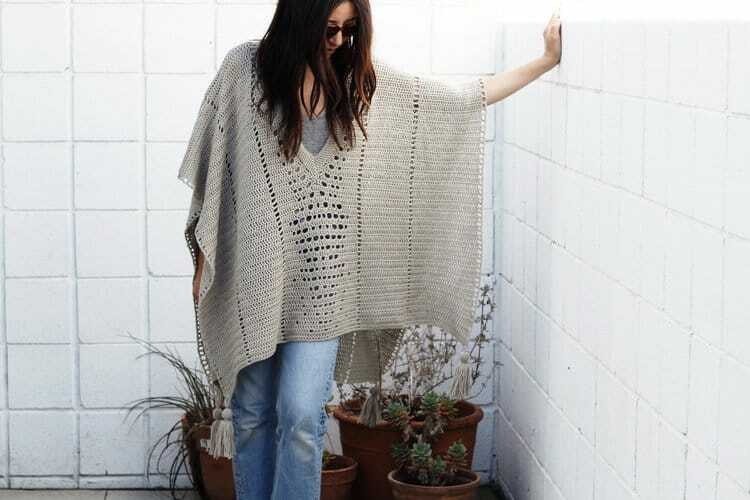 This Timeless Boho womens Poncho is so pretty and is a great addition to your wardrobe. It is rated as an easy design and is good for beginners. Step out in style with one of these in all your favorite colors. Learning how to crochet just got a lot more fun with this pattern. 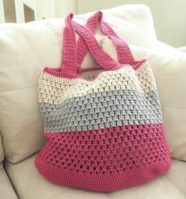 If you love to learn to crochet while watching television or riding in a car…..here’s the project for you! It’s super simple and you really just keep repeating one round until you’ve reached your desired size. Once you reach that point, you’ll add the simple edging stitch! This is one of the classic crochet patterns on this list. 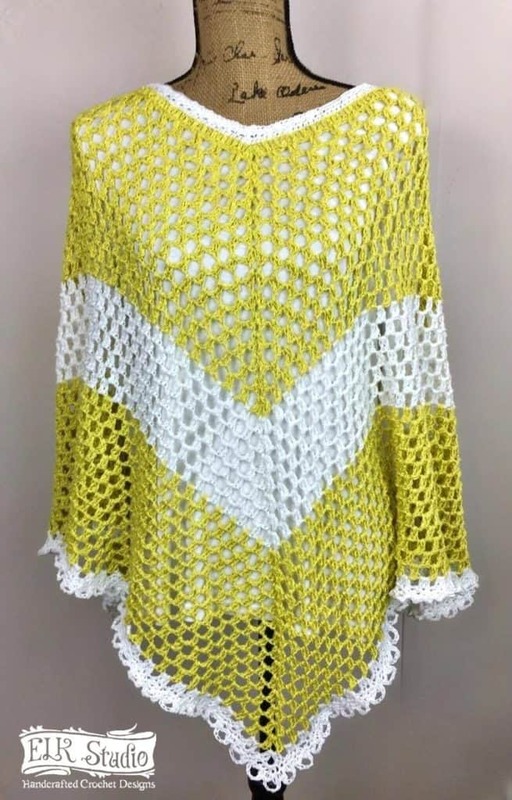 These free crochet poncho patterns are unique in their own ways. From a hooded poncho to a light and airy design, you can wear these in any season. 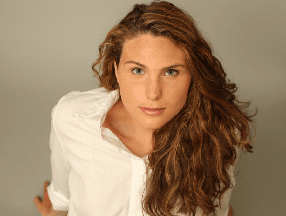 They’re so versatile and they add an instant touch of maturity to any look. There’s even a sports themed poncho! Take your time looking through these free pattern and find one that really speaks to your style. You deserve nice clothes, and what better way to get them than to make them yourself!